Cinema Wasteland started out as a collector’s video service in the late 80’s known as Video Wasteland. In the Spring of 1993, with more and more independently owned video stores being sucked up by the sterile, uncaring and totally in-it-for-the-money corporate video chain stores, we officially opened a rent-by-mail video service that specialized in rare, out-of-print, and hard to find “Drive-In” era horror and exploitation films. We created a niche service for horror movie fans that was often copied but never duplicated. In September of 2000 we held our first Cinema Wasteland Movie and Memorabilia Expo and kicked off the Wasteland version of a movie convention in grand style by presenting the first ever “Dawn of the Dead” cast and crew reunion. Due to fan response, we added a second Movie and Collectible Convention to the mix in the Spring of 2004 and currently run a Spring show in April and our annual Fall show every October. 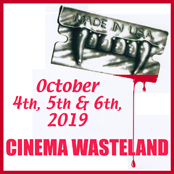 In the years following our first show, we have firmly established the Cinema Wasteland Movie and Memorabilia Expo as one of the leading movie and collectible conventions in the country. Never one to rest on our reputation, we will continue to do our best to stay ahead of the pack with every one of our future shows. By 2003, our once mighty rental service went the way of most other “mom and pop” stores in the country, and was shut down by ridiculous postal rate hikes and the general laziness of a race of people that are willing to click on the TV and pretty much watch any crap thrown against their living room wall. Now, twenty six years after the Wasteland legacy began, we are still hanging in there as your number one source for everything from Aliens to Zombies and, amazing enough, are now discovering our third generation of happy fans, friends, and customers. Stick with Cinema Wasteland. 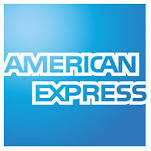 After twenty six years in this business, we promise that you'll enjoy the ride!